A 10 km challenge that will test your stamina, nerve and camaraderie. 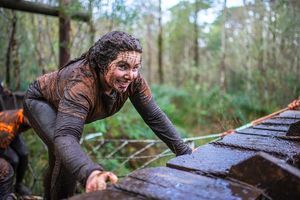 Turf Warrior is the obstacle course challenge that is packed full of adventure, mud, climbing, swinging, leaps into the Atlantic and all kinds of other mayhem and madness. Free entry to the themed party at Killary Adventure Company is included for all warriors, so you can get together for a well earned drink, swap stories and re-live the ups and downs of a day on the battlefield after you have scrubbed the mud from your ears, eyes and every other body part! There is no better craic in Connemara.